HONOLULU (AP) — It took eight years of backbiting and pretending they got along for relations between President Barack Obama’s administration and Prime Minister Benjamin Netanyahu’s government to finally hit rock bottom. Though they’ve clashed bitterly before, mostly notably over Iran, the two governments seemed farther apart than ever after a speech Wednesday by Secretary of State John Kerry and last week’s United Nations resolution. 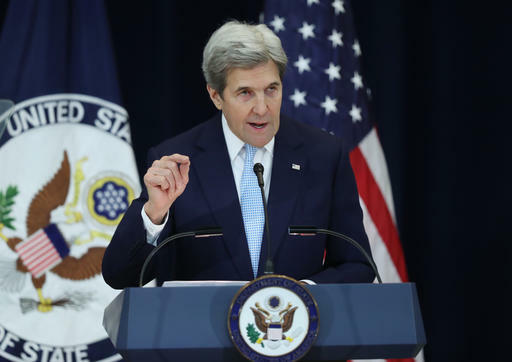 “We cannot, in good conscience, do nothing and say nothing when we see the hope of peace slipping away,” Kerry said in a speech that ran more than an hour. Kerry took pains to voice America’s staunch commitment to Israel’s security and support for its future, and to detail U.S. complaints about Palestinian leadership and its failure to sufficiently deter violence against Israelis. He laid out a six-point framework for a potential peace deal that it will be up to the next U.S. government to try to enact, if it chooses to do so. The White House has portrayed Obama’s decision to break with tradition by abstaining — rather than vetoing — a U.N. Security Council resolution declaring Israeli settlements illegal as a reaction forced by other countries that brought it up for a vote. Kerry acknowledged Trump appears to favor a different approach. Yet frustrated by years of Israeli actions he deemed counterproductive for peace, Obama appeared to have decided it was better to make his administration’s views known while still in office, even if it risked a blockbuster clash with America’s closest ally. Shortly after, Netanyahu appeared on camera in Jerusalem and suggested he was done with the Obama administration and ready to deal with Trump. The Israeli leader faulted Kerry for obsessing over settlements while paying mere “lip service” to Palestinian attacks and incitement of violence. “Israelis do not need to be lectured about the importance of peace by foreign leaders,” Netanyahu said. In a nod to Netanyahu’s concerns that Obama would take more parting shots, Kerry seemed to rule out the possibility Obama would support more U.N. action or, even more controversially, recognize statehood. The U.S, the Palestinians and most of the world oppose Israeli settlement construction in the West Bank and east Jerusalem, territories captured by Israel in 1967 and claimed by the Palestinians for an independent state. But Israel’s government argues previous construction freezes didn’t advance peace and that the settlements — now home to 600,000 Israelis — must be resolved in direct talks Israelis-Palestinian talks. While Israel’s Arab population has citizenship rights, the roughly 2.5 million Palestinians living in the occupied West Bank do not, and most in annexed east Jerusalem have residency rights but not citizenship. Kerry said a future deal would have to ensure secure borders for Israel and a Palestinian state formed in territories Israel captured in 1967, with “mutually agreed, equivalent swaps.” He said both countries must fully recognize each other, ensure access to religious sites and relinquish other existing claims. Kerry also called for assistance for Palestinian refugees. 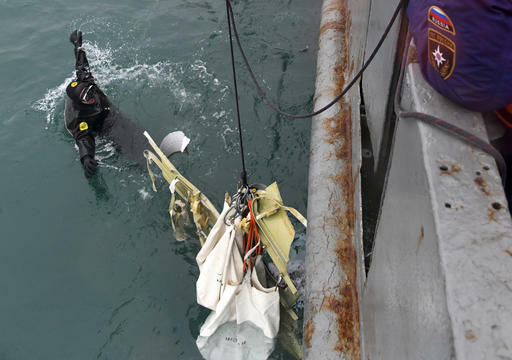 MOSCOW (AP) — Flight recorders revealed no evidence of an explosion on board a Russian plane that crashed into the Black Sea, killing all 92 on board, but investigators haven’t ruled out foul play, a military official said Thursday. Russian air force Lt. Gen. Sergei Bainetov, who heads the Defense Ministry commission conducting the crash probe, said that a cockpit conversation recorder contained the captain’s words that indicated a “special situation” that began unfolding on board the plane. Bainetov wouldn’t elaborate on what may have led to the crash, but noted that it likely had been caused by several factors. The Tu-154 of the Russian Defense Ministry crashed into the sea early Sunday, moments after taking off in good weather from the city of Sochi. It was carrying members of the Alexandrov Ensemble, widely known as the Red Army Choir, to a New Year’s concert at a Russian military base in Syria. He wouldn’t offer any details, saying that Russian law-enforcement agencies are working on the case. Investigators also have taken samples from a fuel tank used to fill the plane, which flew from Moscow’s Chkalovsky military airport and stopped in Sochi for refueling. “The aircraft has proven itself well,” Bainetov said, but said they will likely resume after the investigation is over. 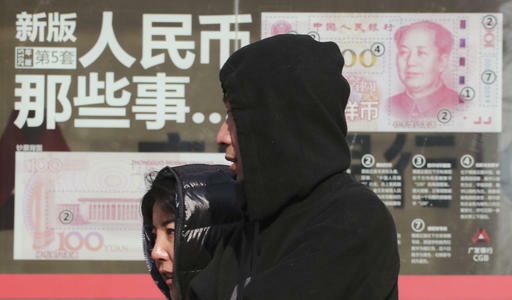 WASHINGTON (AP) — President-elect Donald Trump has vowed to name China a currency manipulator on his first day in the White House. PRISTINA, Kosovo (AP) — Kosovo’s Parliament has voted to demolish a concrete wall erected by the Serb ethnic minority in the northern city of Mitrovica. Serbs earlier this month started to raise the wall in the northern part of the bridge on Ibar River, calling it a technical support barrier against a landslide. The construction was vehemently contested by the Kosovo government. Members of Parliament on Thursday backed the demolition, with no one voting against. The European Union and the United States also have opposed building of the wall at a time when Pristina and Belgrade are holding EU-mediated dialogue to reconcile their differences. Kosovo declared independence from Serbia in 2008 which Belgrade has not recognized. WASHINGTON (AP) — U.S. senators visiting eastern European allies to discuss security issues called for sanctions against Russia for interfering in the presidential election by hacking American political sites and email accounts. 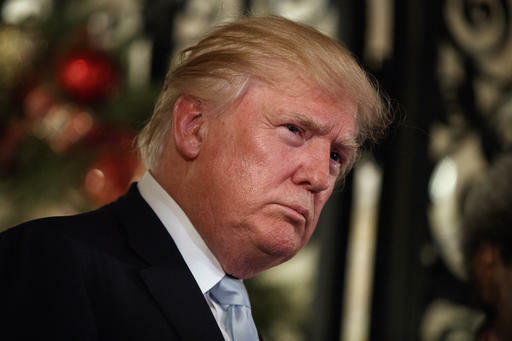 Their demands came amid ongoing discussions among U.S. officials on an imminent response to alleged Russian meddling that would ensure the U.S. takes action before President-elect Donald Trump takes office. “We have to sanction Russia for these cyberattacks (and) send a clear message to the incoming administration that there is a lot of bipartisan support in Congress for going after this,” Sen. Amy Klobuchar, D-Minn., told The Associated Press by phone from Latvia. Klobuchar joined Sens. John McCain, R-Ariz., and Lindsey Graham, R-S.C., in their visits to Russian neighbors, the Baltic States, Ukraine, and Georgia as well as Montenegro. Russian officials have denied the Obama administration’s accusation that the highest-levels of the Russian government were involved in trying to influence the U.S. presidential election. U.S. intelligence agencies concluded that Russia’s goal was to help Trump win — an assessment Trump has dismissed as ridiculous. The lawmakers on Wednesday reaffirmed the U.S. commitment to the Baltics, saying the relationship with the three former Soviet states — Estonia, Latvia and Lithuania — “will not change” under the new administration. “I predict there will be bipartisan sanctions coming that will hit Russia hard, particularly (President Vladimir) Putin as an individual,” Graham told reporters in Riga, the Latvian capital. He didn’t elaborate on possible sanctions. But the executive order “(isn’t) well suited to the Russian activities,” said Stewart Baker, a partner specializing in cybersecurity for Steptoe & Johnson LLP. Baker said that order was primarily aimed at cyberespionage, for example spying by the Chinese military for commercial advantage. The order covers a response to attacks on critical infrastructure, and Klobuchar called on the administration to amend it to also include election systems, which are not considered critical infrastructure. The designation places responsibilities on the secretary of Homeland Security to conduct comprehensive assessments of vulnerabilities and track as well as provide information on emerging and imminent threats that may impact critical infrastructure. More importantly, in this case, it would allow for a response to a cyberattack against election systems. President Barack Obama has ordered intelligence officials to conduct a broad review of election-season cyberattacks. Russia’s neighbors have long suffered the wrath of its hackers, whose actions have frequently complemented the government’s political and military aims. In 2014, Ukraine’s Central Election Commission was targeted by a pro-Russian hacking group. JERUSALEM (AP) — Israel’s Justice Ministry and police say they will issue an update “in due time” about an ongoing probe into suspicions surrounding Prime Minister Benjamin Netanyahu. Israeli media are reporting that the attorney general will soon announce a criminal investigation into Netanyahu. The Justice Ministry would not confirm the reports, but issued a brief statement late Wednesday about the planned update. Leading Israeli opposition lawmaker Erel Margalit of the Zionist Union party has been campaigning for a formal investigation into suspicions of prominent donors improperly transferring money for Netanyahu’s personal use, as well as reports that Netanyahu’s personal attorney represented a German firm involved in a $1.5 billion sale of submarines to Israel. In July, the attorney general announced he was looking into matters concerning Netanyahu but did not disclose what they were. Israeli media at the time reported they were related to Netanyahu’s personal finances. A Netanyahu spokesman told Israeli media there was “nothing” behind the suspicions. LITTLE ROCK, Ark. 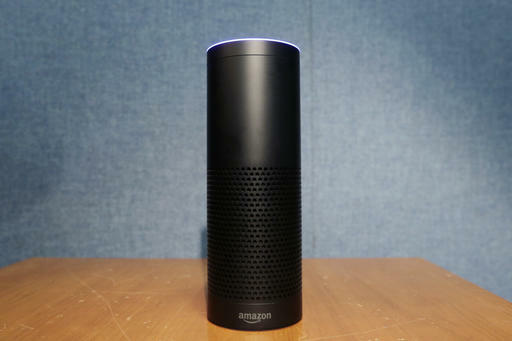 (AP) — Authorities investigating the death of an Arkansas man whose body was found in a hot tub want to expand the probe to include a new kind of evidence: any comments overheard by the suspect’s Amazon Echo smart speaker. The issue has emerged in the slaying of Victor Collins, who was found floating face-up last year in the hot tub at a friend’s home in Bentonville, about 150 miles northwest of Little Rock. The friend, James Andrew Bates, was later charged with murder. Prosecutors have asked the court to force Amazon to provide data from the Echo that could reveal more clues about the night of Nov. 22, 2015, when Collins was apparently strangled and drowned. Like any investigation, “law enforcement has an obligation to try to obtain evidence of the crime,” Smith said. The search warrant, signed by a judge in August, requests all “audio recordings, transcribed records, text records and other data” from Bates’ Echo speaker. So far, authorities have obtained only basic subscriber and account information. Smith said Wednesday that his office has had discussions with Amazon, but that the bulk of the request remains unfulfilled. The prosecution’s request was first reported this week by The Information, a news site that covers the technology industry. On its website, the company says the Echo streams audio to cloud-based storage after it detects the user’s “wake word,” and that it stops recording once a question or request has been processed. Smith compared his request to routine warrants that seek a record of cellphone “pings,” which can be used to track a user’s location. “It is a search warrant for a new device, but the legal concept is old as Methuselah,” he said. The Arkansas slaying could be a test case for how evidence rules apply to information from home appliances connected to the internet such as water meters, thermostats and lighting systems, said Nuala O’Connor, president of the Center for Democracy & Technology, a nonprofit group that works on privacy and civil-liberties issues. She previously worked for Amazon. “That’s where we’re going to get into issues of circumstantial evidence,” O’Connor said. The next court hearing for Bates, who has professed his innocence, is set for March 17. Follow Jill Bleed on Twitter at www.twitter.com/jzbleed. 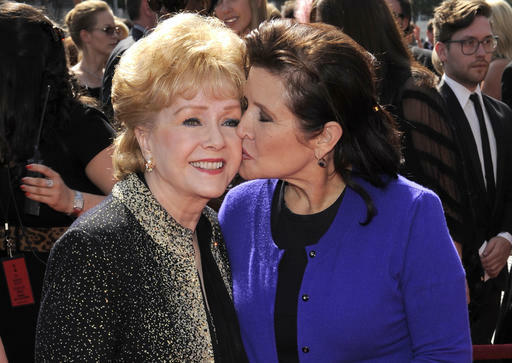 Reynolds died on Wednesday at age 84, just as she and the rest of the world were starting to mourn her daughter Fisher, who died on Tuesday at 60, days after falling ill on a flight. Even after a year of shocking and constant celebrity deaths, the one-two punch of Fisher and Reynolds brought a staggering finale to 2016. Reynolds’ son Todd Fisher said his sister’s death was “just too much” for his mother. No cause of death has been revealed for either woman. Both mother and daughter enjoyed the heights of show business success and endured the depths of personal troubles. Their relationship for years ranged from strained to non-existent, a theme frequently explored in Fisher’s writing, but late in life they became allies and close confidantes in their struggles. Reynolds lost one husband to Elizabeth Taylor and two other husbands plundered her for millions. Fisher struggled from early in life with addiction and mental illness. As Fisher tried to distance herself from Reynolds, she barely spoke to her mother for nearly a decade. Reaction to Reynolds’ death was swift and emotional. Born Mary Frances Reynolds, she spent the first eight years of her life in Depression-era poverty in El Paso, Texas. Her father, a carpenter for the Southern Pacific Railroad, was transferred to California and the family settled in Burbank, near Warner Bros. studio. The girl flourished, excelling as a girl scout and athlete, and playing French horn and bass viola in the Burbank Youth Symphony. Girlfriends persuaded her to enter the beauty contest for Miss Burbank, and she won over the judges. She found superstardom quickly. After a handful of minor roles, MGM studio boss Louis B. Mayer cast her in “Singin’ in the Rain,” despite Kelly’s objections. But at 19 with little dance experience, she managed to match Kelly and Donald O’Connor, two of the screens most masterful dancers, step-for-step. The couple made a movie together, “Bundle of Joy,” which seemed to mirror the 1956 birth of Carrie. The Fishers’ next child was Todd, named for Eddie’s close friend and Taylor’s husband, showman Mike Todd. Fisher’s singing career never recovered, but Reynolds’ film career flourished. The 1964 Meredith Willson musical “The Unsinkable Molly Brown,” with Molly’s defiant song “I Ain’t Down Yet,” brought Reynolds her only Academy Award nomination. And she provided the voice of Charlotte in the 1973 animated “Charlotte’s Web,” the same year she received a Tony nomination for her starring role in the Broadway revival of “Irene,” in which her Fisher also appeared. But marital woes made life outside entertainment difficult. Reynolds’ third marriage, to Virginia businessman Richard Hamlett in 1984, proved equally disastrous. In 1992, against friends’ advice, she paid $10 million to buy and convert a faded Las Vegas hotel into the Debbie Reynolds Hotel and Casino, where she performed nightly. Reynolds ended up filing for bankruptcy in 1997 and accusing Hamlett of making off with her money. “All of my husbands have robbed me blind,” she said in 1999. Eventually, she reconciled and teamed up with Taylor — long since divorced from Fisher — and two other veterans, Joan Collins and MacLaine, for the 2001 TV movie “These Old Broads.” The script, co-written by Carrie Fisher, was about aging, feuding actresses who get together for a reunion show. Reynolds would look back wryly on the Taylor affair, acknowledging that no man could have resisted Taylor, who died in 2011. Reynolds took solace and strength in her last years from her renewed closeness with her daughter. AP entertainment reporters Hillel Italie in New York and Lynn Elber, Sandy Cohen and Anthony McCartney in Los Angeles contributed to this report. The late Associated Press writer Bob Thomas contributed biographical material. PALM BEACH, Fla. (AP) — President-elect Donald Trump applauded the return of 8,000 jobs to the U.S. and hailed his transition discussions with President Barack Obama in a series of comments that amounted to the most detailed interaction he’s had with journalists since before the election. In one of his cameos Wednesday on the front steps of his Mar-a-Lago resort in Palm Beach, Florida, Trump touted plans by a Japanese mogul to bring jobs to the United States. They could be the first of the 50,000 jobs that tech billionaire Masayoshi Son promised to create after meeting with the president-elect earlier in December. Still, the U.S. job market has been robust for much of 2016. Employers have added more than 2.2 million jobs over the past 12 months — a sign of economic health that predates Trump’s presidential victory. CHICAGO (AP) — Jurors haven’t indicated if they’re close to a verdict in the major racketeering conspiracy trial of six alleged leaders of Chicago’s Hobos street gang. The panelists are scheduled to resume deliberations Thursday, the fourth day, in U.S. District Court in Chicago. The presiding judge replied to a note from jurors late Wednesday about gun exhibits and directed them to a flash drive in the jury room that contains photos of guns that prosecutors say were used in a Hobos robbery. The note offered no clues about how deliberations are going. Prosecutors say the conspiracy included the fatal shootings of two government informants and seven other people. The defendants include purported Hobos boss Gregory Chester and accused gang hit man Paris Poe.